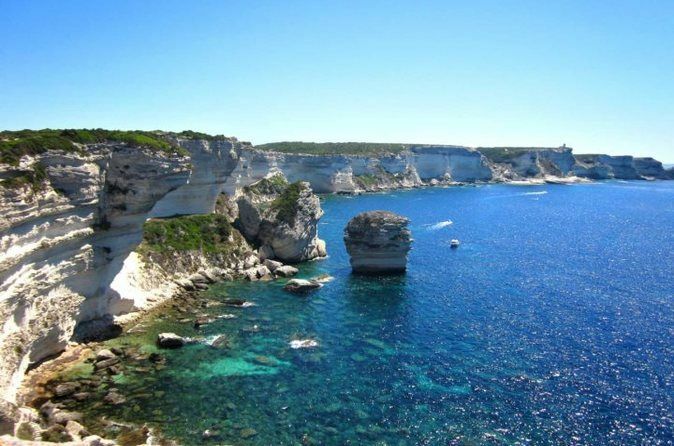 Have a panoramic tour of Bonifacio's highlights with a private driver. Travel North on a scenic road, and visit the quaint village of Sartène, which has been described as "the most Corsican of Corsican towns". Have a panoramic tour of Bonifacio's highlights like the impressive, Medieval citadel. After this, head North and arrive in the lovely village of Sartène. A French novelist described Sartène as "the most Corsican of Corsican towns". The oldest part of Sartène was built in the mid-16th century by the Genoese rulers of Corsica. They wished to establish a kind of inland refuge, a safe haven away from the coastal raids of the Turks and the Barbary pirates. Sitting at 900 ft above sea level, Sartène enjoys enchanting views over the southern hills and mountains of Corsica’s vast hinterland. Foodies will enjoy the many local shops and delicatessen food stores selling selected Corsican products such as wines, olive oil, cheeses, cold cuts and ham, jams, honey. The countryside surrounding Sartène is home to over 6,000 acres of vineyards producing some excellent appellation AOC vintages. You may have a wine tasting in the many local wine shops in the old town.